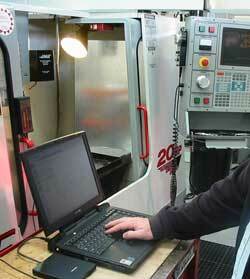 IMD has been providing CNC Milling & Turning for over 28 years in Orange County near Los Angeles, California. Our CNC Milling department consists of 10 state-of-the-art Hass CNC Milling machines and numerous state-of-the art CNC machining manufacturing centers made by some of the best CNC builders in the industry. Maximize the use of castings, forgings and extruded shapes to minimize machining and material costs. Innovative Metal Designs is a one-stop manufacturing job shop with CNC machining capabilities catering to various industrial markets. Our engineering and design services provide cost effective solutions to many companies looking to lower cost and increase profits. We are able to manufacture turnkey products and other CNC machining projects for the medical, transportation, electronic, aerospace, defense and commercial industries. For custom prototype machining, turnkey products, or high volume production of tight tolerance parts, let us be your machine shop. At Innovative Metal Designs, we work closely with OEM’s and other engineers within a range of industrial markets. By working with our customers throughout the entire process, we are building relationships that carry on from project to project. The industries we work with have high quality standards that must be adhered to during product design and development. Machining tight tolerances on high volume production is something we complete everyday in our advanced Machine shop. We will do the job right for you every time. Innovative Metal Designs manufactures high quantities of production parts in Westminster, California located in Orange County near Los Angeles, California. We can complete highly customized products or basic standardized components utilizing our CNC turning and milling methods. Our advanced machinists have applicable knowledge of critical and tight tolerance parts for the most stringent industries. With state-of-the-art equipment that is updated often, we are always moving forward with the latest and most advanced technology so that we can fully commit to the high quality standards our customers expect. 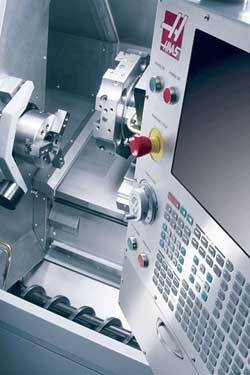 Our machine shop is cutting edge in the CNC machining manufacturing of mass production and turnkey products. If you’re looking to bring your complex design to life, look no further than our one stop manufacturing solution. Parts are designed and manufactured in-house or with the use of overseas manufacturing. With advanced CNC turning & milling, we manufacture numerous products for world renowned Fortune 500 companies. Custom Sheet Metal Prototypes and complete design development is provided on complex applications brought to us by some of the biggest companies in the world alongside small, local businesses. See examples of our aluminum machining and other work. Contact us or Request a Quote regarding our CNC machining methods and manufacturing.